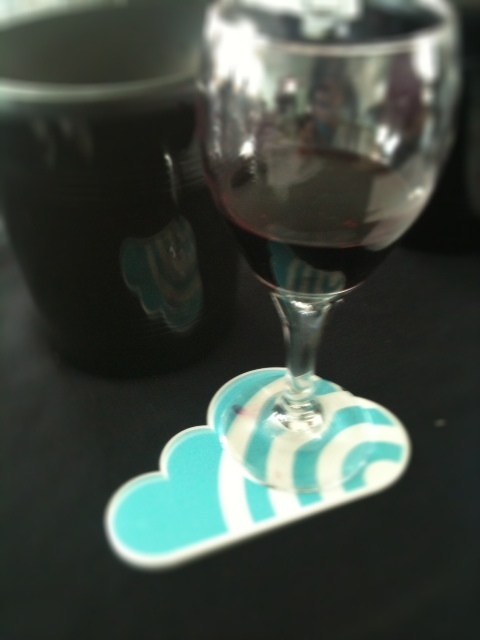 Earlier this week I was invited up to Edinburgh, Scotland by the Skyscanner people to take part in a blind tasting to judge the best Economy airline wines. Being a frequent flier, I was intrigued to see how the airline wines stacked up against each other. Truth be told, when I’m flying, all I want it a drinkable wine, the wine tasting part of my brain turns off and I try not to thing about the red wine I’m glugging down with my beef stew and rice. For those of you unfamiliar with Skyscanner, it’s a price comparison flight/travel site. I like Skyscanner a lot and they are my first port of call whenever I’m looking for flights online when I’m planning my holidays. I know it’s sounds like I’m pitching for them but I’ve been using them for the past few years and I’m always happy with the flights their search engines finds for me and usually buy via their site. So, I was pleased when they asked me to participate in the judging. Although we didn’t get to taste at altitude, we were on the 5th floor of the Point Hotel Conference Venue which has a lovely view of Edinburgh Castle. Tom Cannavan was the judging leader/host and he gave us a few pointers as to what to look for when judging these wines. Mostly, we were looking for wines that were expressive and aromatic. I’ve heard that wine changes a lot up in the air and that wines that are full of fruit and body do best up there, nevertheless, it was with some trepidation that I came along to judge the wines. We tasted through the Whites first. It was a blind tasting and the wines came in a variety of packaging, from Tetra-Pak, to plastic 35 mls to standard 750 mls bottles. I have to admit the first wine we tried was very good indeed. It certainly got my attention. After that, the wines ranged from good quality to non-descript and uninteresting. What I did find intriguing is that some of the other judges thought those nondescript wines would do well on a flight. Possibly, but I found them mundane and boring. However, maybe that’s what the general public wants. 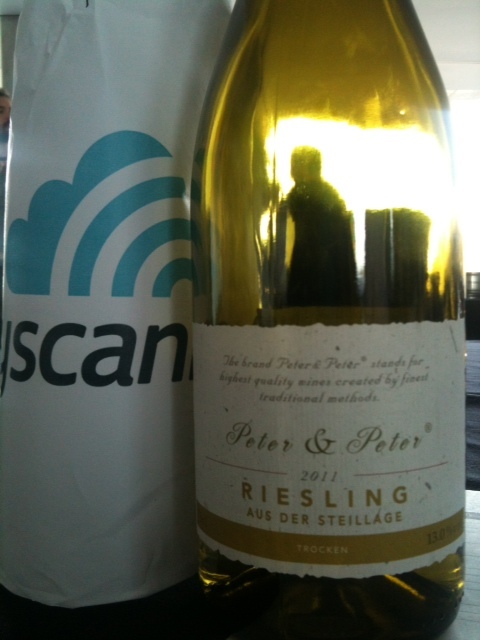 Luckily, the first wine won out and it was…a German Riesling!! Whoo-hoo, riesling! I was pleased that it had gotten the combined highest ratings from the judges. The wine was made by Peter & Peter Winery, from the Mosel. A fruity wine with good body and acidity, it just tasted good, which is what we all want at 35,000 ft. Lufthansa serves this wine for their Economy Class service. After a short break, the Reds. Disappointingly, these tasted just as er, the same, as they do up in the sky. In general, I felt most of them to be mediocre if not worse. What is it about the reds that the airlines can’t get right? Commercial, bland or worse, some tasted like a bin end from Aldi left in the sun. It was only when we got into the later rounds that the wines started to get interesting. 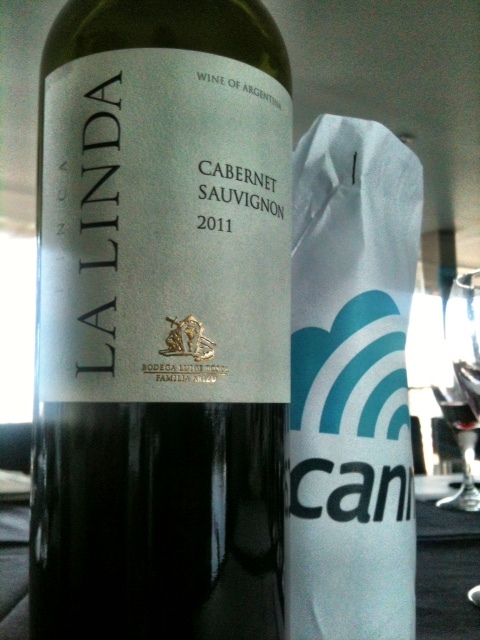 Happily, the last 3 wines were of a higher quality and it was from these that we decided on the Finca La Linda Cabernet Sauvignon 2011 served by Thomson Airways. An interesting exercise and I have to say that from now on I will definitely take a second look at the white wines on offer from my economy seat on whatever airline (except Ryanair, I hate giving them anymore money then I have to) I’m flying with the next time I’m jetting off for work or maybe an all inclusive holiday…. 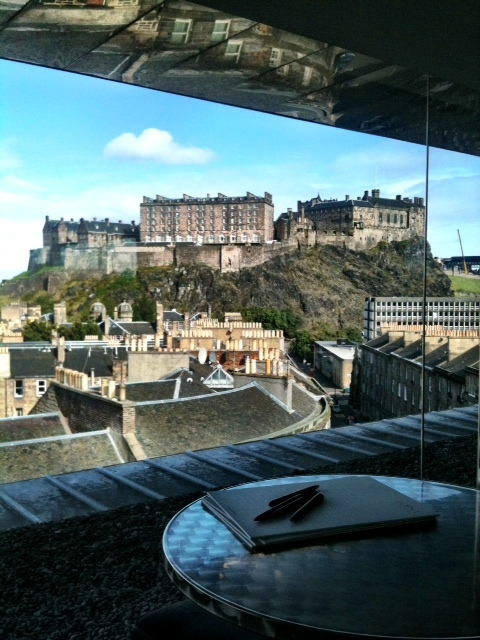 A big thanks to Skyscanner for flying me up to Edinburgh and to Tom Cannavan for leading the judging panel so well.